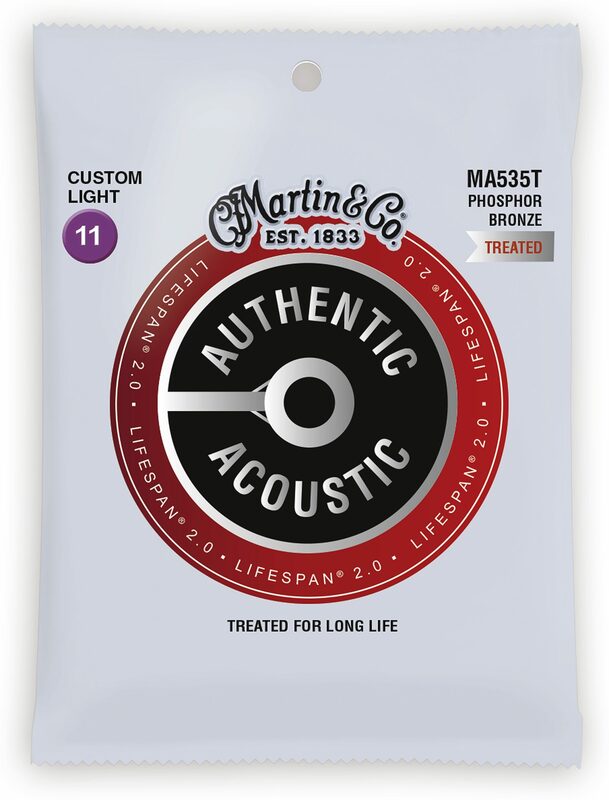 Martin’s next generation Authentic Lifespan 2.0 Treated Phosphor Bronze Acoustic Guitar Strings are engineered using a new, patented technology only available from Martin. This technology was developed to protect the core wire and the wrap wire to prevent corrosion without compromising tone – the single most important attribute of the guitar strings. Authentic Acoustic Lifespan 2.0 strings look better, sound better, and feel better, providing a smooth playing experience that reduces finger drag. Martin Authentic Acoustic Lifespan 2.0 strings offer next generation treatment for long life, great playability and feel, and superior reliability with authentic tone. 92/8 Phosphor Bronze acoustic guitar strings are made with the highest quality bronzed steel core wire and phosphor bronze wrap wire.